mobileWOMEN.org: So Is There A Politically Correct Term? So Is There A Politically Correct Term? Recently, my husband and I were sitting outside and having a random conversation. I don’t remember the exact context but he caught me off guard when he asked me “What is the correct term to refer to someone with a disability?”. Keep in mind that we’ve been together almost 15 years and I have been paralyzed for over 34 years. Also, his daughter has Muscular Dystrophy and uses a wheelchair too so I was thinking to myself, “Geez! If he doesn’t know, who does?”. What was even worse is that I really didn’t have a straight answer for him. When I think of the friends that I’ve made on this crazy journey since my accident, I feel as though they aren’t limited, at all. In fact, the contrary. They do have obstacles which everyone does, in one way or another but have risen to meet and overcome them to be productive, not to mention, generally happy, members of society. They are undoubtedly resourceful, creative, organized problem-solvers who are incredibly strong, resilient and CAPABLE. They can still do the same activities that those without a disability can do, whether it be work, drive a car, play a sport etc. but differently. “Differently-abled” is a term that I’ve heard recently that seems to convey this message. 1. What term do you use (or prefer) when referring to someone with a physical disability? 2. What term/word do you find the most offensive and why? 3. What advice would you give to someone when they are referring to someone with a disability? 1. I usually refer to myself as living with a physical disability and I use a wheelchair. Saying “confined to a chair” is a huge pet peeve of mine. But when I was a kid, I had a friend who said I had a “situation” and I loved that and still do! 2. I find “confined” an issue for me because my chair is my freedom, mobility, dance and travel tool and without the chair, I'm not going anywhere. For me personally, if I am considered confined to something, for me, I feel that I’m confined more to my body. In fact, we all are, and limitations may not change. So the chair is needed to give me/us that freedom of mobility. 3. 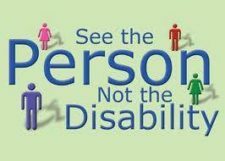 I think that is subjective of course, but for me, I prefer to be a “person with a disability” not “disabled” person. I'm a person first. I would educate but be thoughtful too that this may be an unfamiliar experience for people and we all can go through that when connecting with someone, living a different experience from our own. I am very pro “People First” language, so I always say "person with a disability" etc. I don't mind the term “disability” at all and don't really find the need to use euphemisms for it. Lately, there has been a movement called “Identity First Language” where people feel that their disability is really at the core of who they are and want to be known as a "disabled person" instead of a "person with a disability." 1. I personally feel like having a disability is just part of who I am and that I'm not denying that by using people first language, but I've had to accept that not everyone feels that way and that it's best to listen to how the person you're talking to refers to themselves. I would still say to use people first language, if you're not sure. 2. Terms like “handicapped”, which goes back to the days when people thought that people with disabilities couldn't do anything but beg on the streets for money, and “crippled”, which to me goes against the fact that people with disabilities, should consider their bodies beautiful and useful, are most offensive to me. 3. Some able bodied people just don't know the "correct" terminology because they grew up in a different time when different words were used or grew up in such a small town that they just haven't used the terms enough to know. 1. I try not to get too wrapped up in this, but i do prefer using words such as “woman with a disability”. A “disabled woman” is not the best, but I don’t get bent out of shape. In fact, I have caught myself using these words! The word “handicapped” is not my favorite, but again, it’s not that bad in my opinion. I HATE the word “crippled” for sure. Funny thing is that if I am with a group of friends with a disability and we know each other well, we have been known to joke around with each other and use this word or the word “gimp”. LOL. 2. I am also a very short statured woman and I prefer that term as opposed to “dwarf” or “midget”. The term “little person” is also usually accepted although many feel it’s degrading. I have a unique take on that because in my family, we never use the word “disabled”. People are just people. I do not and have never identified as "disabled" or a "person with a disability" - so much so that after 14 years, I still say "walk", "jump" and "run" to refer to what I'm doing. 1. I will refer to them in person as who they are. If I'm speaking of them and they are not right there, I will describe THEM. Not "Wendy, the one who uses a wheelchair. I would say: "She is the gorgeous woman with blonde hair.” A wheelchair is not "her". 2. 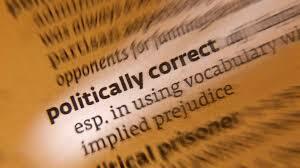 The most offensive words are crippled, disabled, handicapped and the worst one, handicapable. 3. What I tell people is treat them as you would anyone else. WE are people. If I look like I need help, ask. I would ask anyone struggling with a door or bags, if they needed help. Also, don't assume what I can or can't do. I've been left out of activities because people thought I couldn't do it. I always say just ask. When I speak to groups, I try and demystify the whole "wheelchair thing”. I tell them that we are exactly the same as before our injuries/illness. Now, we just sit down. 1. I prefer the term “woman with a disability” - with disability really being the primary sub-description. In today's world, as we all try to navigate towards gender-equality (still), I think it is important to be a woman first (contend with those political binds, borrowing from feminist theory), and then add on the side dish of disability (creating the socio-political aspect of "the double bind" as noted in Black Feminism, among others). It is a big deal to me because specifically women with disabilities, regardless of race, are in the very worst statistical percentile globally. Even among men with disabilities. 2. Funny story: I find "Crippled" to be the worst term because I grew up on a dairy farm, and the dairy association magazines always had ads for "crippled or downed cows" for beef sale. So, when the much older generations would ask why I was crippled, or when the only social service organization in my hometown was called "The Crippled Children's Committee" (literally until I became an intern there and led a public relations project to officially/legally change the name to "Don Mills Achievement Center"...in the late 1990's)...my first thought would be, "I'm not a downed cow...what the hell!" LOL! The next would be handicapped - the "hand in cap begging" that dates back to alms at the gates of temples in the 1200's! 3. If someone inadvertently or unwittingly uses a disability slur (I consider them slurs), in my response, I simply use the correct wording, giving it some gentle emphasis with a pause. Most of the time - even with much older generations - the hint is taken and they self-modify. If the conversation goes beyond that and they are still using derogatory terminology, I very gently say, "We prefer being called disabled...it's pretty important." I've never had anyone push back after that gentle reminder. 1. I was injured back in the 70's and we never really thought about "politically correct" terminology so I don't mind the terms “disabled” or “”handicapped”. 2. There is one term that has always rubbed me the wrong way - that is "crippled". I remember one time being out with some girlfriends and some guys started talking to us. One of the guys was asking me about dating, and I said that I hadn't really dated since my accident. And his reply was "Do you think that is because you're crippled?"! It is such a harsh word to me. I also remember it being used on television when I was very young to describe a person with a disability. 3. A lot of the things people say are out of ignorance. I think it is up to us to educate them on situations like this. I was injured in 1976 and there were no people with disabilities that I knew of, in my town so I have always tried to be very open about what happened to me and approachable. I wanted everyone to feel that they could ask me anything and I would try to answer their questions. Sometimes, I may have told them a little too much! I wanted them to be comfortable with my disability because I think that knowledge takes the fear away. I remember the first time I ever met a little person. I was probably 7 years old and I was a little afraid. It was something so different for me. That's why I love shows like “Little People Big World”, “The Little Couple” and “Push Girls”. You see that we are just like regular people. First and foremost, we are people first. Yes, our challenges are part of us but in no means, define us. This is not exclusive to one segment of the population. 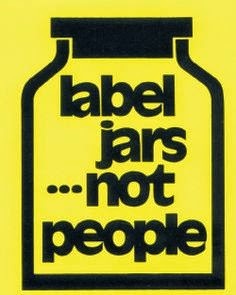 Society and trends will continue to change and hopefully evolve for the better, where labels will be used less and less. Take every encounter as an opportunity to learn from one another. The reality is, that WE ARE ALL DIFFERENT. Those differences and unique qualities should be acknowledged as beautiful and celebrated. If we treat one another as we ourselves would want to be treated, we will maybe someday become united as ONE..